IBM has announced a blockchain banking network to help financial institutions process cross-border payments more quickly and cheaply. 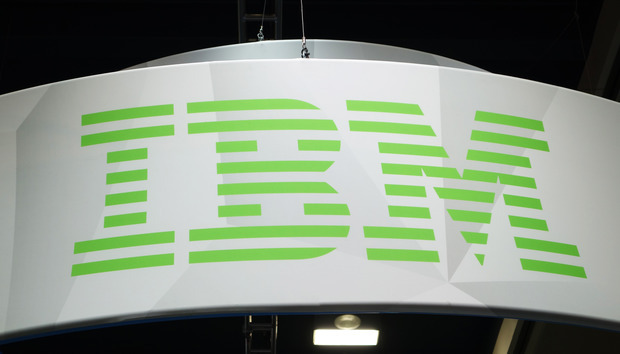 Based on the IBM Blockchain Platform on Hyperledger Fabric, the network, unveiled Monday, is designed to reduce the settlement time and lower the cost of completing global payments for businesses and consumers, the company said. A number of commercial banks will be invited to join the network next year. The solution is already processing live transactions in 12 currency corridors across the Pacific Islands and in Australia, New Zealand and the United Kingdom, through its early adoption by Advanced Pacific Financial Infrastructure for Inclusion (APFII) members, a public-private partnership initially funded by the United Nations and SWIFT. It is expected to process up to 60 per cent of all cross-border payments in the South Pacific's retail foreign exchange corridors, by early next year. Rolled out in collaboration with open-source blockchain network Stellar.org and cross-border payments system firm KlickEx Group, the solution is intended to improve the speed in which banks both clear and settle payment transactions on a single network to near real time. “This is the first time anyone has made blockchain work at an institutionally viable scale,” said Robert Bell, Chairman of APFII and founder of KlickEx Group. Using a blockchain distributed ledger, all appropriate parties have access and insight into the clearing and settlement of financial transactions. It is designed to augment financial flows worldwide, for all payment types and values, and allows financial institutions to choose the settlement network of their choice for the exchange of central bank-issued digital assets, IBM said. Big Blue used an example of a Samoan farmer using the network. “In the future, the new IBM network could make it possible for a farmer in Samoa to enter into a trade contract with a buyer in Indonesia. The blockchain would be used to record the terms of the contract, manage trade documentation, allow the farmer to put up collateral, obtain letters of credit, and finalize transaction terms with immediate payment, conducting global trade with transparency and relative ease,” the company said in a statement. There have been a number of proof-of-concepts of blockchain technologies in Australia this year – Australia Post and Blackmores in March joined a blockchain initiative run by Alibaba on food providence in China; in May electricity retailer AGL revealed plans to trial peer-to-peer energy trading by households using distributed ledger technology; and in January, Commonwealth Bank of Australia and Queensland Treasury Corporation created what they claimed to be the first government cryptobond – but widespread adoption appears to be some way off. Earlier this month IBM and UBS Group launched a joint initiative that aims to build a blockchain-based platform dubbed Batavia with Commerzbank AG, Bank of Montreal, Erste Group Bank AG and CaixaBank SA.